The UN General Assembly adopted 2030 Agenda for Sustainable Development with its ResolutionA/RES/70/1 on September 2015. 17 Sustainable Development Goals and 169 associated targets are enshrined in the Resolution and balance three dimensions of sustainable development– economic, social and environmental. 2030 Agenda is the sole global agenda that unites every country to achieve sustainable development with the core principle of “leaving no one behind”. The Sustainable Development Goals (SDGs) with their targets promote eradication of poverty and hunger; combat inequalities within and among countries; building peaceful, just and inclusive societies; protection of human rights, gender equality and empowerment of women and girls; ensure lasting protection of the planet and its natural resources. The Goals should also create conditions for sustainable, inclusive and sustained economic growth, prosperity and decent work for all. The implementation period of these ambitious Goals was set till 2030. The SDGs are the result of over two years of intensive public consultations and engagement with civil society and other stakeholders throughout the world. The consultation process paid particular attention to the voices and needs of the most vulnerable and included valuable work done by the Open Working Group of the General Assembly on Sustainable Development Goals. In December 2014, the UN Secretary-General provided a synthesis report – “The road to dignity by 2030: ending poverty, transforming all lives and protecting the planet”. The experience of the Millennium Development Goals (MDGs) created strong basis for the elaboration of SDGs. The implementation of MDGs started in 2000 and finished in 2015. The MDGs proposed a valuable global agenda at the time. However, the main challenge of this global agenda was its uneven progress reflected mainly in the least developed countries. Some MDGs remained off-track, in particular those related to maternal, newborn and child health and reproductive healthcare. The Millennium Development agenda covered 8 goals, and aimed to eradicate extreme poverty and hunger, achieve universal primary education, promote gender equality, reduce child mortality, improve maternal health, combat HIV/AIDS and other diseases, ensure environmental sustainability and promote global partnership for development. The SDGs seek to complete what MDGs could not achieve on the one hand and suggests wider and more ambitious aspirations on the other. Alongside continuing development priorities of MDGs, the SDGs set out a wide range of economic, social and environmental objectives and promise peaceful and inclusive societies. Sustainable Development Agenda crucially defines the means of its implementation and suggests interconnected goals and indicators for the evaluation of their progress. The High-Level Political Forum (HLPF) has a central role in overseeing follow-up and review of the progress made on SDGs at the global level. The HLPF meets annually to review country reports. Georgia submitted its first Voluntary National Review (VNR) to the HLPF in 2016. However, VNR was not detailed at that time and highlighted Georgia’s general aspirations towards achieving sustainable development, the process of establishing institutionalized coordination and nationalization mechanism and future plans. Georgia will submit its next VNR in 2019, describing detailed progress of all SDGs compared to relevant indicators. The Administration of Government of Georgia (AoG) expressed high level political support to prioritizing SDGs. The Government of Georgia (GoG) started nationalizing SDGs in 2015 and undertook important steps in this direction. The same year, the AoG was granted coordination functions of the implementation of SDGs. At the initial stage, the AoG established a technical working group and involved experts of various sectoral ministries. The working group prioritized specific goals and targets that were relevant to the Georgian context at the time. As a result, Georgia currently has all 17 goals, 99 targets and more than 200 indicators nationalized. The GoG aims to nationalize all 169 targets till 2030. In order to support the Government of Georgia in the SDGs nationalization process, the Institute for Development of Freedom of Information (IDFI) started a project – “Support the Implementation of UN Sustainable Development Goals in Georgia” with support from United Nations Development Program (UNDP), the Government of Sweden and United States Agency for International Development (USAID). The national document – SDGs Matrix was completed in the framework of the project. International and national experts engaged in the process supported the government not only in the elaboration of the document, but also in the capacity building of responsible institutions. The SDGs Matrix includes all the necessary information that will guide lead government institutions in the process of implementing the 2030 Agenda. Namely, the Matrix reflects global and Georgia-adjusted targets, as well as indicators that should be achieved by 2030 and baseline indicators to measure the achievement of the targets. In addition, the lead agency, indicated in the Matrix, takes responsibility for achieving the relevant target. Monitoring of the implementation of SDGs should be conducted in accordance with each line of the Matrix. The Sustainable Development Goals Council was established for monitoring and efficient coordination of SDG implementation. The Council has four thematic Working Groups: on Social Inclusion; Economic Development; Democratic Governance and Sustainable Energy and Environmental Protection. The AoG performs the functions of Secretariat of the Council. The Council makes political decisions, while Working Groups work on thematic directions and coordinate the work of the involved institutions on data collection and SDGs integration into national policy documents. The Head of the Administration of Government chairs the Council and UN Resident Coordinator in Georgia performs Council Co-chair functions. In addition, representatives of CSOs and the private sector may also be involved in the work of the Council to guarantee transparency and inclusiveness of the process. Data collection is the main challenge for the implementation of SDGs at this stage. Data is the key to measuring progress on implementation. However, Council and Working Group member institutions do not employ SDGs related data collection and analysis standards. Despite the fact that both the Council and the Working Groups now function as a review platform for the general progress on SDGs, they will require strong data collection capacities starting next year. First progress report on SDGs will be elaborated in 2019 and will cover data for 2015-2017. Another challenge of the SDGs Matrix is the use of administrative data for the absolute majority of targets, while alternative data sources such as reports, indexes and assessments of the CSOs are not reflected. The core instrument to support the Council and Working Groups in the process of elaboration of the first progress report will be the Electronic Monitoring System (EMS). Lead institutions will work in the EMS and will provide information on the achievement of each target. The AoG will accumulate all the received information as the final progress report. The EMS is elaborated by LEPL “Data Exchange Agency” in cooperation with the AoG and IDFI. The system will be launched at the beginning of 2018 and will support the elaboration of the progress report. Moreover, a separate website will be linked to the EMS that will provide space for publication of progress reports and most important information on SDGs, including its global and national developments. To tackle the challenges facing coordination mechanisms, IDFI, with the support of UNDP and the Government of Sweden, started a new project titled “Facilitate the Landing of 2030 Agenda for Sustainable Development at the National Level”. The main focus of the project will be strengthening the Working Groups in terms of data collection and analysis. For this purpose, national monitoring and data collection experts will be involved in the Working Groups; they will train Working Group members and support data collection and elaboration of first the progress report. Incorporation of SDGs in national policy documents is envisaged for 2018. This will be an inevitable component in transferring SDGs into the daily agenda of public institutions. The Open Government Georgia’s Action Plan will be among those national policy documents. Along with the elaboration of the progress report, SDGs incorporation will be an important process for the Government of Georgia as the Chair country of the Open Government Partnership (OGP). The OGP affirmed the priority of implementation of SDGs with its declaration endorsed by the Government and Parliament of Georgia. The progress achieved in the process of implementing SDGs will also be positively reflected on agenda of the OGP Global Summit to be held in Tbilisi in the Spring of 2018. Awareness raising on SDGs was one of the main purposes of the project implemented by IDFI. At the first stage of SDG nationalization it was necessary to inform the public about the Global Agenda and Governmental plans in this direction. Meetings with CSO representatives, journalists, students, local self-governments and private sector were conducted throughout Georgia. For engaging youth in SDG processes, IDFI and UNDP organized a “Street Art Day” on SDGs, visualization and essay contests and awarded winners during the international 16 Plus Forum hosted by Georgia at the end of October 2017. The focus of the Forum was SDG 16 – peace, justice and strong institutions. More than 150 participants from 25 countries attended the International Forum. A workshop with local and international CSOs was also conducted in the framework of the Forum and was led by the representatives of IDFI and World Federation of United Nations Associations (WFUNA). The involvement of CSOs, private sector and academia in the SDG implementation process still remains a challenge, despite the comprehensive awareness raising campaign. To achieve progress in this direction within the framework of the new project supported by the UNDP and the Government of Sweden, IDFI and AoG will support and encourage the participation of various stakeholders in the Council and Working Groups. The project will involve organizing workshops on specific thematic directions for the representatives of CSOs, private sector and academia. The project will be concluded with a conference where AoG, UNDP and IDFI will present the progress report, and highlight the main achievements of SDG implementation, existing challenges and future plans. Report on Pilot Initiative on National-Level Monitoring of SDG16 was published in November 2017 and summarizes the information from November 2016 to July 2017. 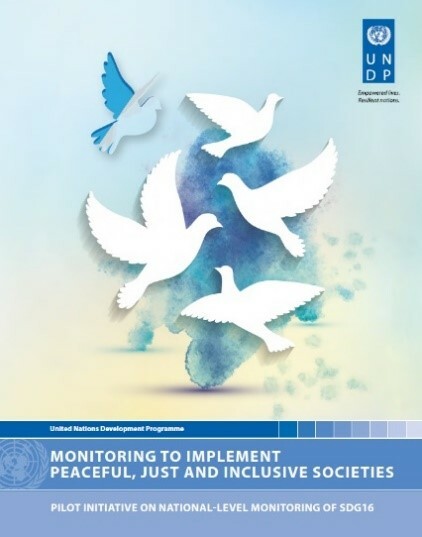 Among other stakeholders, the Administration of Government of Georgia (AoG), Institute for Development of Freedom of Information (IDFI) and United Nations Development Programme (UNDP) contributed to the elaboration of the monitoring report. The initiative involved six countries: El Salvador, Georgia, Indonesia, South Africa, Tunisia and Uruguay. Additionally, this report presents information from Mexico, which was not part of the pilot initiative but simultaneously developed a similar methodology in coordination with the aforementioned countries. In the framework of the Pilot Initiative the AoG together with IDFI and UNDP and with the financial support from Government of Sweden (SIDA) and the United States Agency for International Development (USAID), established UN Sustainable Development Goals coordination mechanism – SDGs Council with its four thematic working groups, elaborated national document on SDGs – SDGs Matrix, with respective global and national indicators and metadata and scorecard forms, started working on the Electronic Monitoring system, that is expected to launch in 2018 and conducted comprehensive awareness raising activities in Tbilisi and regions of Georgia. 3. Use this inclusive approach to SDG16 monitoring to propel SDG16 implementation, by engaging stakeholders not only in monitoring but also in identifying solutions to the challenges revealed in the reporting. This report synthesizes the various approaches adopted by participating governments to monitor SDG16 in collaboration with non-governmental actors, the main challenges they faced in doing so, and some lessons emerging from their experiences. The pilot initiative was led by the United Nations Development Programme (UNDP), in collaboration with the Open Government Partnership (OGP) and with financial support from the United States Agency for International Development (USAID). IDFI held a public lecture on the UN Sustainable Development Goals in Lagodekhi Municipality. IDFI Analyst Mariam Tutberidze presented the Sustainable Development Goals (SDGs) and the National SDG Document to the participants of the lecture. Discussion topics included the role of central and local public institutions in the implementation of the 2030 Agenda, the role of civil society in the implementation of SDGs and the mechanisms that should be used to improve public participation in the SDG implementation process. What are Sustainable Development Goals? On September 25, 2015, 193 UN member states agreed on the Sustainable Development Agenda document – Transforming our World: – The 2030 Agenda for Sustainable Development. The aim of Sustainable Development Goals is to continue the work started by Millennium Development Goals. Georgia was one of the first states that supported the adoption of UN Sustainable Development Goals in 2015 and started to implement them into national political agenda. Sustainable Development Agenda contains 17 goals and 169 targets. The lecture was held as part of the awareness raising campaign for the project Supporting the Implementation of UN Sustainable Development Goals in Georgia, implemented by IDFI and UNDP Georgia with the financial support of the Swedish Government. On November 21, 2017 IDFI held a public lecture in Akhaltsikhe titled UN Sustainable Development Goals: Global And National Agenda. The lecture was held as part of the awareness raising campaign for the project Supporting the Implementation of UN Sustainable Development Goals in Georgia, implemented by IDFI and UNDP Georgia with the financial support of the Swedish Government. 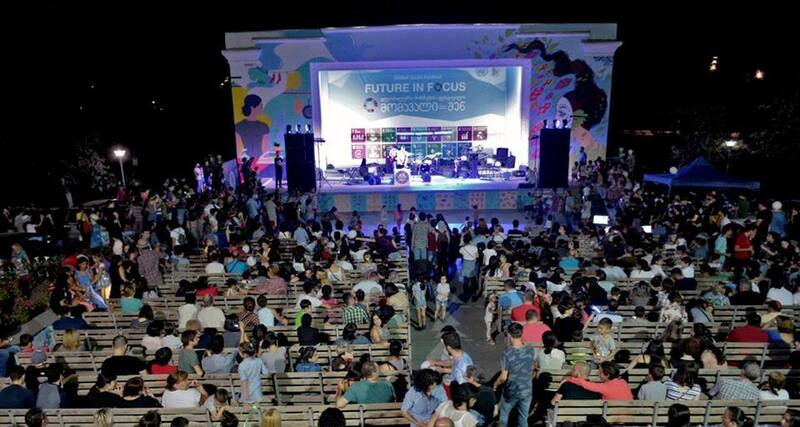 The event was held in Samtskhe-Javakheti State University. Students, representatives of NGO’s and local government attended the meeting. 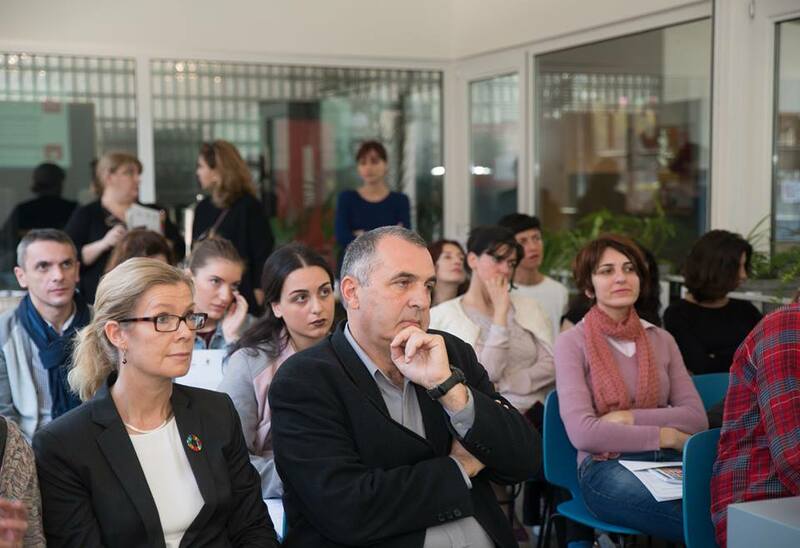 Participants were introduced to the main components, activities, and future plans of IDFI’s project – Supporting the Implementation of Sustainable Development Goals in Georgia. IDFI representative Saba Buadze presented the Sustainable Development Goals (SDGs) and their component objectives. The Sustainable Development Goals concern the following key areas of sustainable development of countries and the planet as a whole: end poverty, quality education for all, gender equality, health, environment protection, and strong and just institutions. The lecture was followed by a discussion, where participants spoke about the government’s resources for implementing SDGs, and the role of NGOs and the local government in their implementation process. Participants also identified challenges, such as the need raising awareness regarding SDGs and possible results of SDG implementation. The use of the SDG National Document was also discussed from a research perspective and how various goals and targets can be used by students for academic purposes. IDFI continues to raise awareness on the 2030 Sustainable Development Agenda and plans to hold more meetings with students, public servants and private sector representatives. 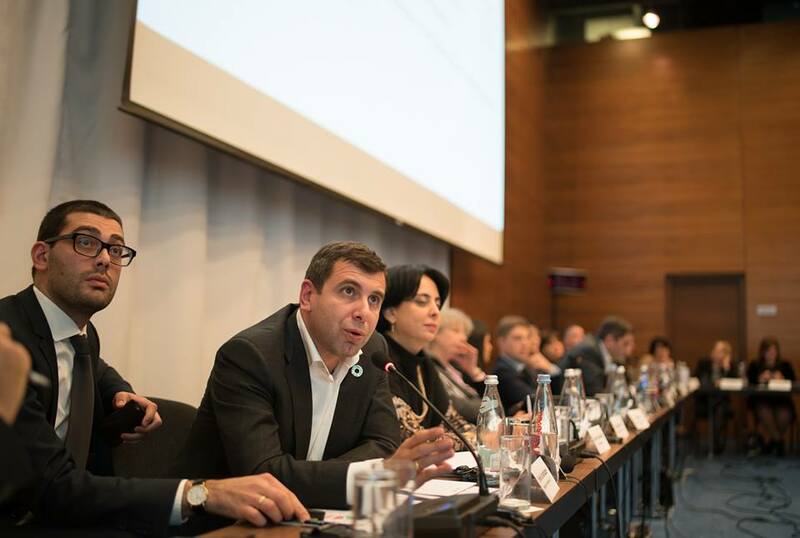 More than 150 representatives from 25 countries gathered in Tbilisi, Georgia, for an international forum titled – From Words to Action: Implementing SDG 16+ at the Local and National Level. From October 31 to November 2, 2017, the Forum discussed the best policy and practice in achieving Sustainable Development Goals (SDGs), with the focus on SDG 16 – Peaceful, Just and Inclusive Societies. The event was opened with welcoming remarks from Vice-Prime Minister and the Minister of Foreign Affairs of Georgia Mikheil Janelidze, First Deputy Minister of Justice of Georgia Aleksandre Baramidze, Head of Administration of Government of Georgia Maia Tskitishvili, UN Resident Coordinator/UNDP Resident Representative in Georgia Niels Scott, Deputy Permanent Representative of the Permanent Mission of the Republic of Korea to the UN Choonghee Hahn, Director of Multilateral and Economic Affairs at the Ministry of Foreign Affairs Czech Republic Kateřina Fialková, Founding Member and Executive Director of the Institute for Development of Freedom of Information (IDFI) Giorgi Kldiashvili and Secretary-General of the World Federation of United Nations Associations (WFUNA) Bonian Golmohammadi. “Georgia is honored with the opportunity to host this important international event. This year marks the 25th anniversary of Georgia’s membership in the United Nations. Over this period, despite all difficulties, we managed to transform our country from a UN humanitarian aid recipient to a model state that assumed the Open Government Partnership (OGP) chairmanship this year. Throughout the past decade, Georgia has achieved tangible progress in building strong state institutions and ensuring: a free civil society; free media; free markets; social cohesion, and the rule of law The global sustainable development agenda provides us with the great prospect to consolidate our achievements, share success and learn from each other’s experience”, stated Mikheil Janelidze in his welcoming speech. Head of the United Nations in Georgia, Niels Scott, stressed the role of international partnership and cooperation in achieving the Sustainable Development Goals. “The United Nations and UNDP globally lead in the support to states to strengthen democratic governance and sustain peace as part of reaching the Sustainable Development Goals. Our support helps build the capacity of governments to deliver, and provides them with essential tools for social engagement and effective delivery,” Niels Scott said. The 16+ Forum Annual Showcase in Tbilisi focused on a range of topics to ensure that the full breadth of Peaceful, Just and Inclusive Societies is featured during the discussions. Six plenary sessions, organized throughout the Forum days, demonstrated the successes and challenges faced by the countries as they, in partnership with civil society, strive to improve governance, ensure rule of law, combat corruption, introduce innovation to public services, resolve conflict, and work towards sustaining peace. Special attention was directed at the Open Government Partnership (OGP) and to opening civic spaces for accelerating national development. The participants discussed the experience of Georgia, the current OGP chair country, highlighting how the sustainable development agenda comes together with Open Government priorities. Forum participants also visited the Ministry of Justice of Georgia, Public Service Hall and customs clearance zone, and met with representatives of the Georgian media and civil society. 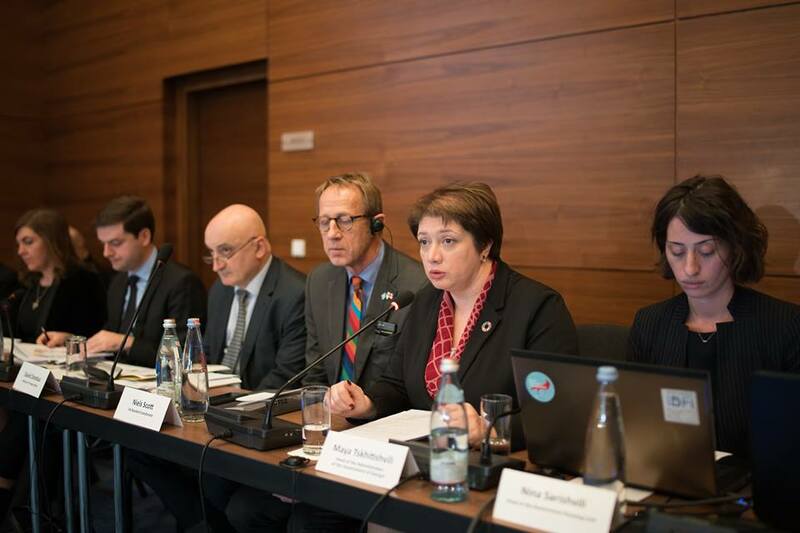 Held in Tbilisi, this inaugural event was the first for the 16+ Forum, a multi-stakeholder platform, inclusive of Georgia, eight other member states, the g7+ and the World Federation of United Nations Associations (WFUNA) as its Secretariat. “On behalf of the 16+ Forum, we are incredibly grateful to all our partners and particularly to Georgia, as our host and as a global leader in advancing SDG 16+”, noted Bonian Golmohammadi, Secretary-General of WFUNA. The official reception of 16+ Forum participants (hosted by AoG with the support from IDFI and UNDP under the financial support from the Swedish Government) also included an award ceremony for the winners of SDG Contests (photo, poster and essay) held by IDFI, UNDP and the Administration of the Georgian Government. The Showcase was hosted by the Government of Georgia (Administration of the Government, Ministry of Foreign Affairs and Ministry of Justice) in partnership with WFUNA and co-organizers and supporters: the Ministry of Foreign Affairs of the Republic of Korea, the Ministry of Foreign Affairs of the Czech Republic, Government of Sweden, the Ministry of Foreign Affairs of the State of Qatar, UNDP, USAID, GIZ, ADA, Tetra Tech ARD, IDFI and UNAG. “IDFI is proud to be among the organizers of this event and would like to use this opportunity to thank WFUNA, the Government of Georgia, UNDP Georgia and all partners that have united to create a multi-stakeholder discussion related to peace, justice and effective institutions. I consider this Forum as a timely opportunity to reflect on the success that we had in OGP and to identify the importance of 2030 Agenda and its very similar transformative effect for countries like Georgia. I think that SDG 16 and OGP are naturally linked together, primarily because of their focus on the effectiveness of state institutions. Anticorruption, transparency, accountability and citizen engagement have very specific meaning in our everyday lives and I hope that this forum will give us a possibility to complement each other’s work through exchange of experiences.” – stated IDFI’s Executive Director Giorgi Kldiashvili in his opening remarks of 16+ Forum. The 16+ Forum was launched in New York, USA in 2016. See the event photos here. Author of the given Essay is the student of Tbilisi State University Lana Kapanadze. The Essay was prepared specifically for the contest on “Sustainable Development Goals and Georgia” organized by IDFI in cooperation with UNDP Georgia and with the financial support from the Government of Sweden. “The discovery of water on Mars is a first step towards proving the existence of life in any form”- said Doctor of History Josepph Michalski, after NASA discovered liquid water on Mars. The fact that NASA uses water as indicator for existence of life on Mars, demonstrates the interconnection between water and life. The idea that water is the beginning of all living organisms is proved by the fact that 3 billion years ago the only living organisms on earth were unicellular microbes in the ocean. Water is not simply the mix of Hydrogen and Oxygen, but a unique substance that is available in all three state of aggregation. Water was the source of fascination for humans since ancient times. Herodotus wrote that Alexander the Great believed in the existence of the Fountain of Youth. In old methodology, we encounter water gods: Neptune in Roman and Poseidon in Greek; hence, the recognition of the power of water by humans has a history that is thousands of years long. Unfortunately, the issue of water is an unresolvable problem for our civilization. I think the issue of water takes precedence over unemployment, refugees, wars, because water is the source of life and main component of all living organisms. The importance of water for humans is exemplified by medical facts: 75% of the brain, 92% of blood, 22% of bones, and 75% of muscles are water. A human can last without food 6 weeks but only 5 days without water, which proves to what extent water is more significant than food. Our planet is unique, at least in the Milky Way galaxy, because it has a large amount of water; however, despite the fact that 70% of earth’s surface is water, 97.2% is salty undrinkable water and only 2.8% is fresh. The world of 7.2 billion people uses 7-8 billion tons of water every day, which is an enormous amount. Although clean water is a renewable resource, usage in these quantities negatively affects the environment. Access to clean water is unfairly distributed around the world, with 1/6 of world’s population having no access to clean water. This is in direct correlation with bad sanitation and spread of disease. Nkaitole, 4 years, lives in Kenya, and wishes to become a warrior when he grows up. However, his survival chances are 1 in 5, so he started to fulfill his dreams at the age of 4. Nkaitole is real human being, with real a story in one advertisement. The ad aims to support donation for countries, where lack of clean water is the number one reason for child mortality. Africa is one of the regions where the problem of clean water and sanitation is acute. India, Brazil, and the Middle Eastern countries are faced with the same problem. Strangely, the problem of clean water is present in Georgia as well, even though the country is rich with water resources. Many cities and villages face this problem. Problematic cases include Velistsikhe andChumlati in Kaheti region. The most difficult situation is in Kumisi, where rain water is filtered with towels and then used to drink. I can also bring examples from my life. I remember in 2009, when I was on vacation with my family in Borjomi, tap water was dirty and so unusable that my mother cooked pasta in mineral water “Borjomi”. In my home town Akhaltsikhe, for years, we had to buy drinking water. In case of our country, the problem is in the malfunctioning water system not in water deficit. After identifying the problem, we need to address its solutions. I have 4 propositions to solve the problem. I. Rational use of Drinking Water. Unfortunately, society needs to be reminded of this to this day. Water usage should not be decreased at the expense of water consumption, but during brushing teeth, reducing duration of showers, repairing pipes, maximal usage of dishwashers and washing machines. By following these steps, I made my small but important contribution in sustaining clean water. Moreover, rational use of water reduces our expenditures, and positively impacts budgets. This could serve as one of the motivators. II. New Technologies. Wide implementation of new technologies and their use in everyday life is a step forward in solving the water crisis. Thanks to innovators Altered Nozzle, a device that fits on a tap reduces water consumption by 98%. Moreover, the Lifesstraw filter cleans any water from almost 100% bacteria, and is already used in Africa. Large-scale use of these technologies will ensure protection of existing water resources. III. Transfer of Iceberg. Once, during a Geography lesson, while discussing problems of water in the world, I had an idea to move an Iceberg to nearby countries; however, I thought that the idea was ridiculous and said nothing. The issue was raised by the teacher itself, and it was made known to me that the idea was possible but requires significant amount of money and time. Icebergs contain large a amount of fresh water and are big reservoirs. In my opinion, in the world, where 3.4 million die from lack of clean water and sanitation, the budget should be a secondary concern. Iceberg transfers should be headed by great powers. The result will exceed any human or monetary cost. IV. Reduction of Population. Large population is one of the reasons of increasing water usage and contamination. Reduction in pollution would significantly improve water resources, as well as sanitation. For this reason, the most populated countries on earth already employ a family planning policy. V. Good Will. By this I mean government’s willingness to improve clean water delivery services, especially for countries such as Georgia, where water resources are abundant, but the delivery of water is still problematic. Laying pipes, building sewers, and special facilities and allocating funding, it all depends on the good will of the government. Each component is important and necessary in solving the problem of clean water and sanitation. In my opinion, clean water is one of the biggest problems of the 21st century that unites people around world. Therefore, effort should be made by all of us: scientists, governments, inventors, even Nature itself to solve this problem of mankind, in order not only to protect ourselves and future generations, but to save the planet. On October 27, 2017, at Impact Hub – Fabrika conference hall, the Embassy of Sweden in Georgia, UNDP Georgia, IDFI and Administration of the Government of Georgia (AoG) hosted an information meeting with Media representatives. The initiative is funded by the Government of Sweden. 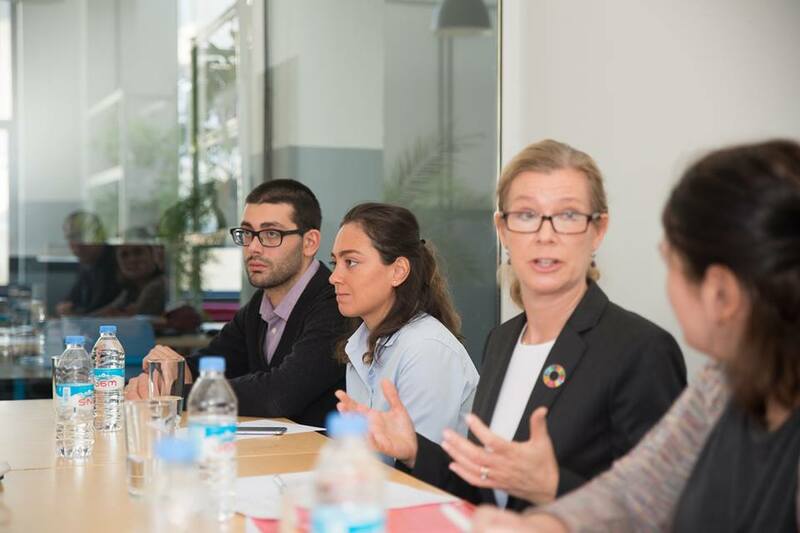 The meeting enabled local journalists from online, print and TV media to learn more about the 17 global goals for sustainable development and Georgia’s plan to achieve them by 2030. The information session opened with welcoming remarks from UN Resident Coordinator/UNDP Resident Representative Niels Scot, Head of Swedish International Development Cooperation Agency Molly Lien, and UNDP Communications Analyst Sophie Chichinadze, who spoke about the global and national importance of SDGs and Georgia’s role in the new global development agenda. The Sustainable Development Goals concern the following key areas of sustainable development of countries and the planet as a whole: poverty reduction, quality education for all, gender equality, health, environment protection, and strong and just institutions. The focus of the meeting was the presentation of Georgia’s SDG nationalization plan. Nino Sarishvili, Head of Policy Planning and Strategic Coordination Service at the Government Administration spoke about Georgia’s priority areas, planned actions and expected results by 2030. This was followed by a presentation of IDFI’s Anticorruption Direction Lead Saba Buadze on the monitoring process and mechanisms for evaluating actions and results achieved by Georgia as part of the SDG global initiative. At the end of the meeting, IDFI Analyst Mariam Tutberidze spoke about the role and the importance of civil society and media involvement in the implementation of the national action plan on SDGs. The meeting with the media took place on October 27, 2017, just a couple of days prior to the international 16+ Forum: From Words to Action, which will be hosted by Georgia on October 31 – November 2, bringing together 120 representatives of 20 countries. On September 25, 2015, 193 UN member states, including Georgia, adopted a new sustainable development agenda titled – Transforming Our World: The 2030 Agenda for Sustainable Development. This agenda contains 17 goals and 169 targets that each country will strive to achieve by 2030. In Georgia, the Government Administration was given the task of coordinating and monitoring the implementation of SDGs at the national level.